UA Inter Media Group, Ukraine’s leading media firm controlled by billionaire Valeriy Khoroshkovskiy. Last month, the media holding signed a consulting agreement with Kyiv-based investment bank Dragon Capital to prepare for an international IPO. As Ukraine’s leading television media holding, sources said it could raise anywhere from several hundred million dollars to more than $1 billion, which would be enough for the massive expansion plans analysts believe the company has, including a move into digital television. The group indirectly owns controlling stakes in six other channels. Khoroshkovskiy also acquired Enter-Film and Enter-Music in 2005 when he purchased the Inter TV group from Igor Pliuzhnikov, who died under suspicious circumstances as the sale was being closed. Last year Khoroshkovskiy acquired the NTN channel from politician Eduard Prutnik, and the K1, K2, and Megasport channels from billionaire Dmytro Firtash. 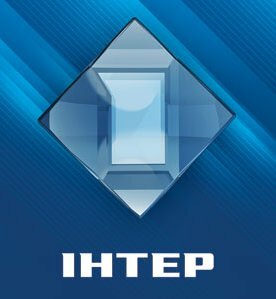 Inter Media Group stands strong now in Ukraine’s fast growing media market. Studies conducted by GfK Ukraine, a market research institute, show the group’s channels cumulatively hold a strong lead with at least a quarter market share.While Inter is on track to be the first Ukrainian television media group to raise funding through an IPO, international investors can today gain exposure to Ukraine’s media business.